Good morning, golfers. It is Sunday, April 8, 2019 and this is your morning digest. The thrilling finale to the first-ever Augusta National Women’s Amateur is still fresh on our minds. There had been universal acclaim for this new event. — Augusta caddie Brian McKinley was the man on the bag. Two years ago he caddied for Kupcho during a round at Augusta National, proving that there is no substitute for local knowledge. — Kupcho’s eagle on the 13th hole was perhaps the turning point in the final round. And the cool sidebar to that is, she gets the same crystal glasses that are awarded to those who record in eagle during the Masters. 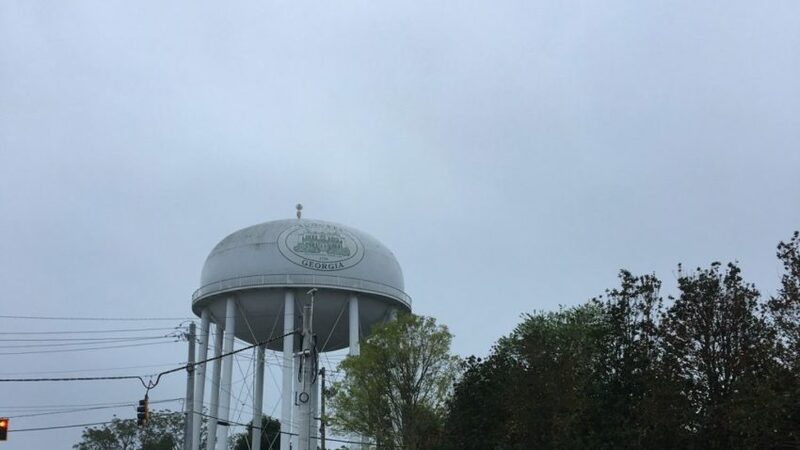 The national finals of the Drive, Pitch & Putt started at 8 a.m. at Augusta National Golf Club, continuing a third-straight day of activity on the famed course. Kupcho and Patrick Reed be in hand to help honor some of the winners. Here’s hoping the final round at golf’s first major of the year lives up the thrill ride we rode at the ANWA. Jin Young Ko leads by one by In-Kyung Kim. Ko held a five-shot lead at one point, but you know, major golf has its twists and turns and here we are heading into Sunday. With a win, either Ko, Kim or Mi Hyang Lee would become the fifth player from Korea to win the ANA. Previous winners are Grace Park (2004), Sun Young Yoo (2012), Inbee Park (2013) and So Yeon Ryu (2017). Ko is seeking her second win, as she took home the title two weeks in Phoenix at the Bank of Hope Founders Cup. We’ve got your final round blog here. Lee had a hole in one on Saturday. That’s cool. That shot also earned her two first-class round-trip tickets on ANA, the tournament’s sponsor. (By the way, she used a 5-hybrid from 187 yards. Monday qualifier to winner’s circle? Corey Conners is seeking to become the PGA Tour’s first Monday qualifier to win in almost nine years. He does have a second and a T-3 this season, so the Canadian seems to be close to breaking through. Then again, in 12 events he’s played on Tour this year, he’s missed the cut in eight of them. Get Valero Texas Open tee times and pin placements here. Follow the leaderboard here. Get live updates here. And keep an eye on Si Woo Kim. He aced the par-3 16th hole on Friday and dang near did it again on Saturday. Si Woo Kim holds on to his lead. Corey Conners thrives under pressure. Jhonny Vegas gets the crowd going. 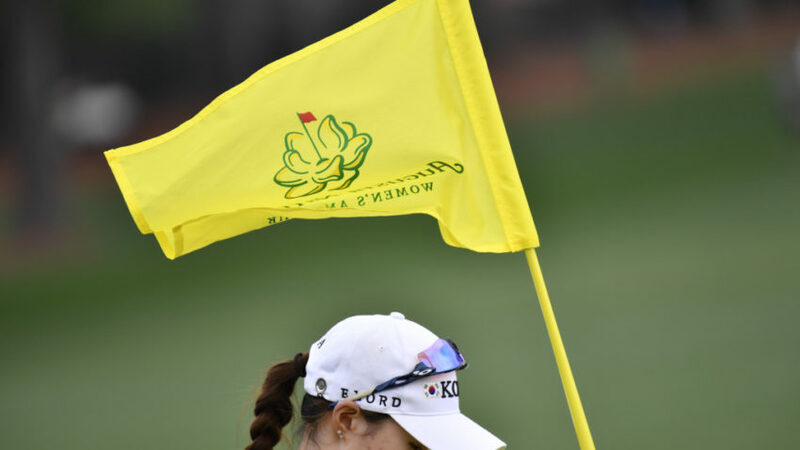 It’s finally here, the final round of the Augusta National Women’s Amateur. The inaugural event brought 72 of the best female amateurs to Champions Retreat, and after two rounds, we’re down to 30 players all battling for the honor to win the inaugural event at golf’s most hallowed grounds. Jennifer Kupcho, the Wake Forest senior and world No. 1 women’s amateur, is looking for a wire-to-wire win Saturday, and she’ll attempt to do so with a new caddie at Augusta National. 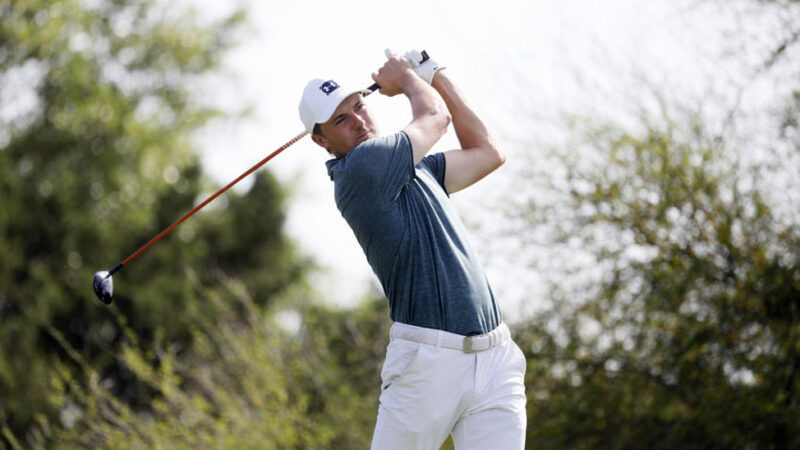 While most of the big names on the PGA Tour are already at Augusta National preparing for next week’s Masters, a handful stayed around the Lone Star State for this week’s Valero Texas Open. Two-time PGA Tour winner Si Woo Kim claimed the early lead at TPC San Antonio on Thursday with a 6-under 66, but there’s already a new leader during Friday’s second round. Like a concept car designed by an automaker, the CP-01 and CP-02 irons have been made to deliver the ultimate in performance and to demonstrate what is possible, without regard for costs. A few Titleist iron designers heard that a few years ago and the result is the new CNCPT CP-01 and CNCPT CP-02 irons. You will not see these clubs in the bag of Adam Scott, Justin Thomas or Jordan Spieth because they are distance-enhancing irons designed to help amateur players hit the ball farther, and more consistently, than ever before. 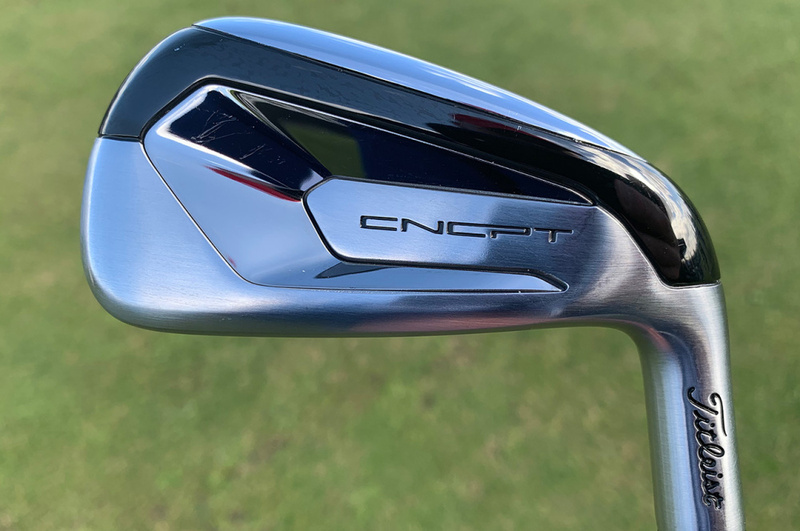 You probably won’t see them around your local course either because, at $500 per club, an eight-club set of CNCPT CP-01 or CNCPT CP-02 irons will set a golfer back about $4,000. At the heart of both irons is an exceptionally-thin face that is made using a rare, super strong alloy material. Titleist claims it has never before been used in club manufacturing, but the company will not disclose the name of the material. However, it is said to have a very high tensile strength. That means it can be pulled or stretched a lot before it breaks. 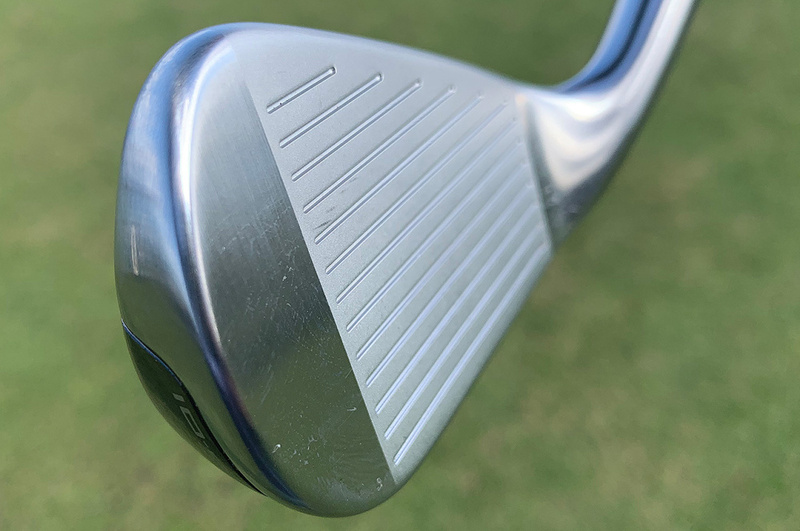 That strength allowed Titleist designers to make the faces extremely thin and shape them like an L, so they wrap under the leading edge and extend into the sole. 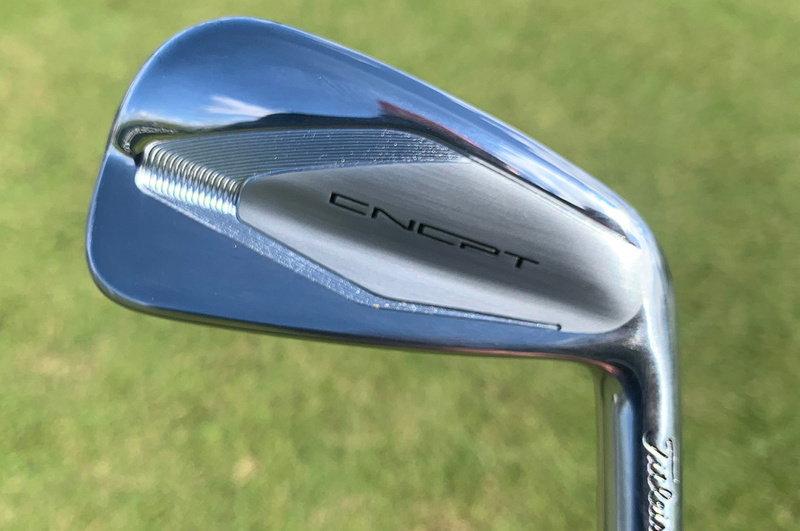 According to the company, the hollow-bodied CNCEPT CP-01 and CNCPT CP-02 have the thinnest unsupported faces in golf, which means that at the moment of impact, the faces should flex more efficiently and deliver more ball speed across a larger portion of the hitting surface. And, because the face wraps under the leading edge, the CP-01 and CP-02 will even do a better job protecting ball speed on shots struck low in the hitting area. Making the faces thinner created discretionary weight, and much of it has been repositioned in the heel and toe in the form of internal, high-density tungsten weights. 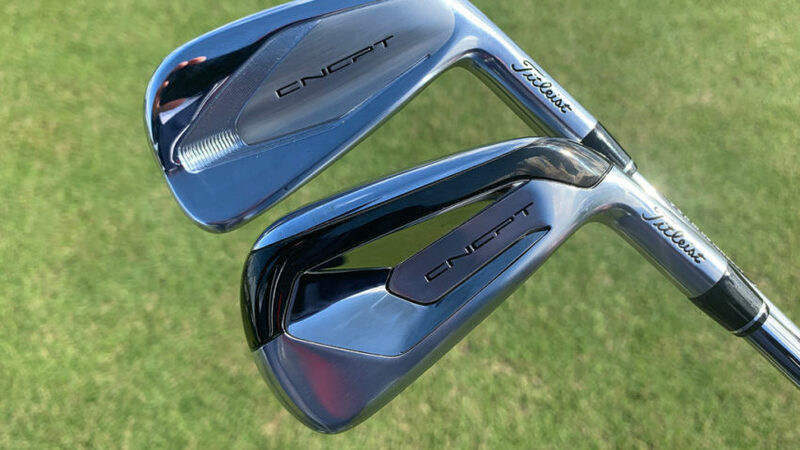 According to Titleist, there is about 100 grams of tungsten in the CNCPT CP-01 long irons and about 110 grams in the CNPT CP-02 long irons. The mid- and short irons have slightly less. Those weights not only make each club more stable on off-center hits, but they also lower the center of gravity (CG) position, which should result in higher-flying shots that land and stop quicker. The CNCPT CP-01 has a chassis design that looks similar to the 718 AP3. 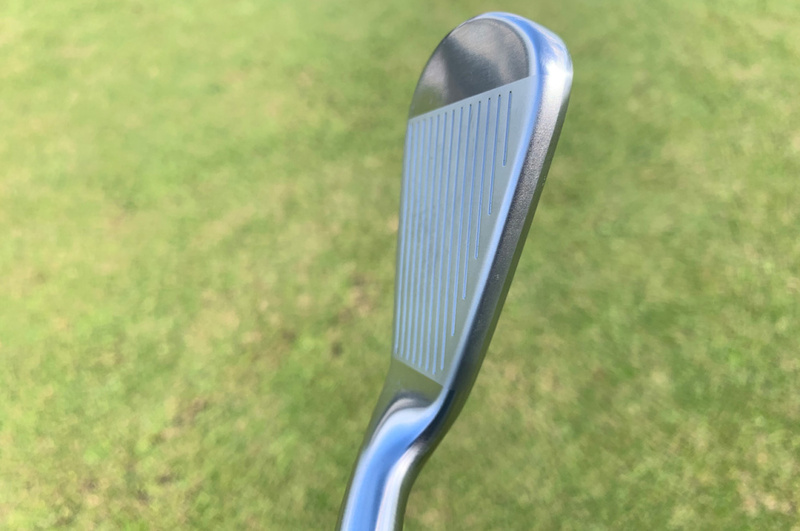 It has a slightly thicker topline and a touch more offset than the CNCPT CP-02, but it still looks like a better player’s iron in the address position. The CNCPT CP-02 looks like a muscleback blade, has a thinner topline and more narrow sole. While it may look like a classic blade when you sole it behind a ball, it is designed to deliver more ball speed, distance and forgiveness. In other words, it will play bigger than it looks. 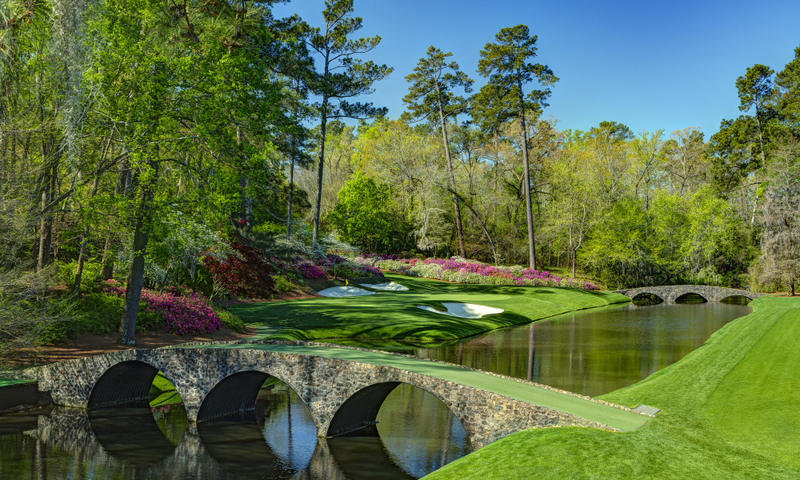 Dr. Alister MacKenzie is synonymous with Augusta National. 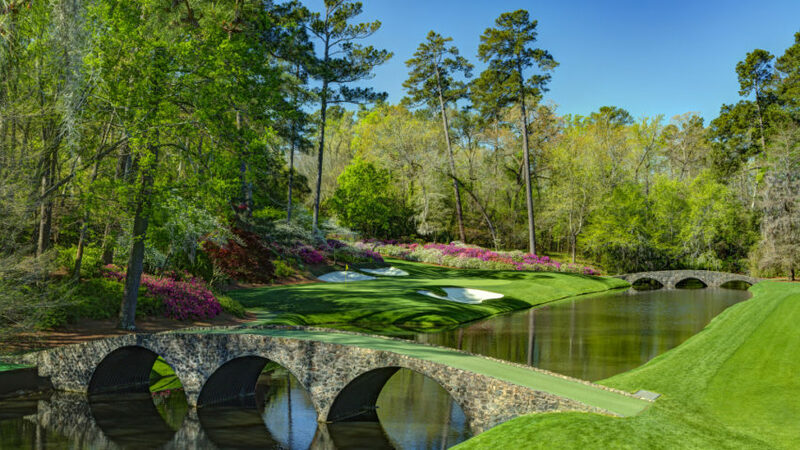 It’s his most famous golf course design for an obvious reason: The architect’s work is beamed to hundreds of millions of golf fans every April during the Masters. But Augusta National is not alone in standing out among MacKenzie courses. The man from Normanton, England was a prolific designer, creating masterpieces around the world. After earning degrees in medicine, chemistry and natural science, MacKenzie served as a civil surgeon in the Boer War that lasted from 1899 to 1902 in Africa. It was in South Africa that he developed an interest in using natural terrain as camouflage and led to him being appointed to the British School of Camouflage during World War I. He used that expertise to good effect in his course design. MacKenzie’s first design was Alwoodley Golf Club in Leeds, England. He created numerous other English courses before graduating to Australia and the United States. His Cypress Point design on California’s Monterey Peninsula so impressed Bobby Jones that the 13-time major winner enlisted the doctor to help create Augusta National. 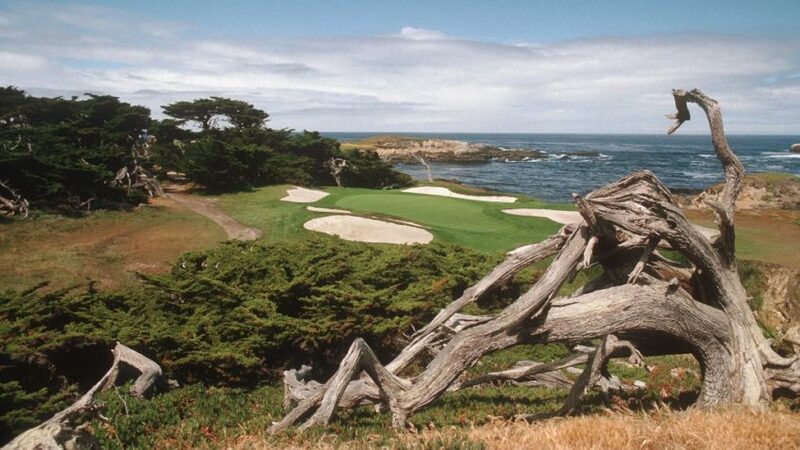 Cypress Point ranks second on Golfweek’s Best Top 100 Classic American course list, second only to Pine Valley, with Augusta fourth behind Shinnecock Hills. Six of MacKenzie’s courses feature in that Top 100, all within the first 40. Alwoodley and other international courses such as Royal Melbourne, New South Wales and Royal Adelaide rank high on other lists. Golfweek has been ranking golf courses for more than 20 years. Currently, a team of 750 raters judge courses based on 10 criteria, creating arguably the most comprehensive course-rating system in golf. With so many experts, it seemed natural to use them to describe MacKenzie’s courses aside from Augusta. We selected raters for each course based on those who had most recently played a MacKenzie course or those with intimate knowledge of the layouts to provide a MacKenzie top-10 list that excludes Augusta. The response was overwhelming, with each rater providing succinct insight into MacKenzie’s work. Gregg Newmark’s view of the Meadow Club in Fairfax, Calif., which just misses the top 10 despite a 6.8 rating, is indicative of the esteem with which Golfweek raters hold the architect. “MacKenzie emphasizes the attributes and beauty of the native land, rather than moving it to create a landscape,” Newmark said. Here are Golfweek’s top 10 courses on which MacKenzie worked to some extent, excluding Augusta. MacKenzie is credited with the full design of some of these courses, and his work on others was of a much more limited scope on existing layouts. And his work around the world went far beyond this list, including courses such as Lahinch in Ireland and Kingston Heath in Australia at which he did not do full layouts. 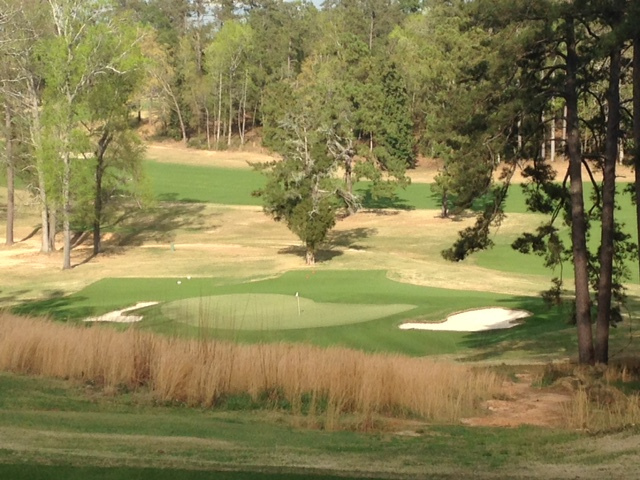 The Buzz: “Great green complexes and surrounds make Palmetto so enjoyable. There is a lack of trees around the greens that, combined with locations often on ledges and plateaus, combine to make club selection interesting. The bunkers really help disguise elevation changes. Palmetto plays much longer than the card’s yardage, but it is a real pleasure to play.” – Golfweek rater Eric Carrier, Pinehurst, N.C.